Some people are ever-searching for the next great chocolate chip cookie recipe or the best-ever brownie recipe. I’m all about muffins. I’m always searching for another great muffin recipe to try out. Each time I find one, I get excited because each and every muffin recipe is completely different from the last. It’s been a while since I’ve posted one, I’ve really tried to hold off, but today I just had to post a new one. This was sent to me by my friend Gina, and it was a huge hit here at our house. 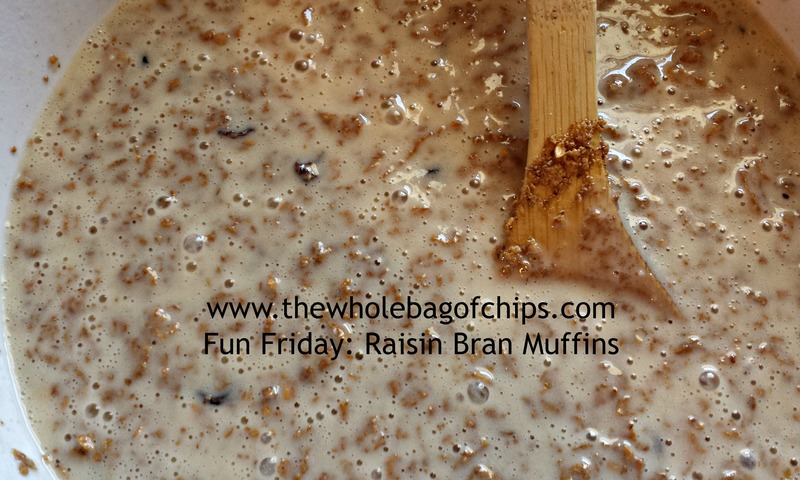 I liked it because I love raisin bran muffins in general, I love the sweetness of cooked raisins, and because it makes a lot of muffins. One of the reasons I hunt down so many muffin recipes is because I often use them as after school snacks one day and breakfast the next. This recipe made enough that it was perfect for that endeavor. The recipe originally hails from Pinch of Yum, according to the page I printed out with the recipe on it and the author is listed as Angela Oldenburger. She recommends using some of the batter as needed at first and saving the extra in the fridge to cook in a ramekin one serving at a time, at a later date. If you choose to do that, you would microwave the batter for one minute in the ramekin. I did not do that, I made all of mine at once. They go too quickly here! I am putting this very easy recipe below. I hope you’ll try it and I hope you’ll pay a visit to Pinch of Yum and see all the deliciousness over there! 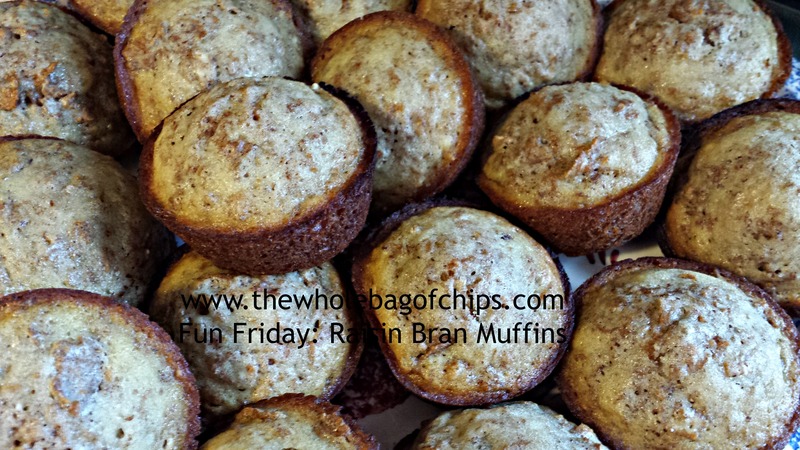 Fast, easy and yielding a large amount of muffins, this was the perfect recipe for me! 1 Mix in order and bake in muffin tin at 400 degrees for 12-20 minutes, depending on pan size. Let cool at least ten minutes. Top with butter and honey. 2. Save leftover batter in the refrigerator. For individual servings, scoop into ramekin/mug and microwave for one minute. Thanks, this is an excellent recipe that we can make at our summer camps! Thanks Karen! I hope the kids love it!